Hola from Madrid! I've made it back to España safely, but only after the most epic final weekend at home. One of my best friends came into town from Orange County, so naturally we wreaked havoc upon Seattle as I bid my fair city adieu. 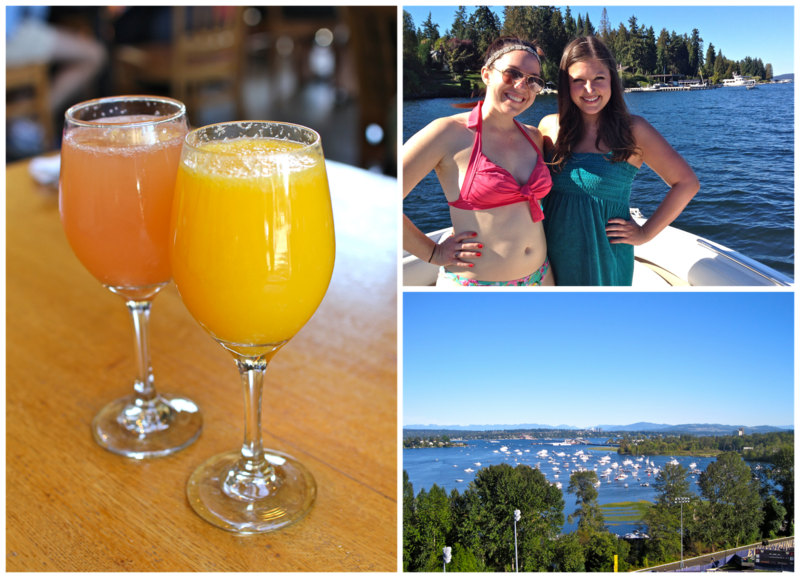 Between boating on Lake Washington, brunching at Portage Bay, visiting our old UW stomping grounds, gorging ourselves on Thai food and watching the Huskies crush Illinois in our beautiful new stadium, my last weekend at home was truly unbeatable. I couldn't have asked for a better send off. Portage Bay Café, thank you so much for existing. Friends who brunch together stay together. My happy place. Go Dawgs! I love you forever, Seattle. Until next time! 17 comments on "Northwest is Best"
Looks like so much fun! I've never been to Seattle, but I would like to someday! You were a Husky too?!?! (2008 alum right here!) Now I like you even more. Looks like you had a wonderful time back home (damn, the new stadium is nice). Early fall is such a good time for the ol' Seatown-- just fantastic weather. It will change your life! Brunch will never be the same again. I swear! No way! I graduated in 2012! Go Huskies :) And I totally agree - the city is the most magical right in between summer and fall. I wish I could have stayed longer to see more leaves change colors! It's one of the best places on earth! Although I'm obviously pretty biased, haha. Just make sure to visit in late July or August for the best weather! It looks like you had a wonderful time. I love that mug in the first pic you shared! Fab post! I feel like I want to go to Seattle looking at this! Me too! I think I may have to buy one next time I'm there! Having brunch with your friends is like no other.. having brunch with your boss is like, whatever. I love your mug! such a fun time! it looks like the weather was puurrrrfect for you! my husband is from seattle, but he's been away for so long that he never has recommendations for friends, so i'm making note of this Potage Bay! Yes, that mug. I need it! !